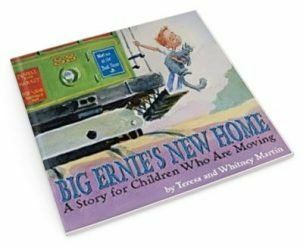 Moving to a new home can be a difficult experience for a child, especially if it means uprooting them from a familiar town or school. Your decision may or may not be optional. Either way, processing the changes that are happening can be overwhelming for kids. Prepare your children by informing them early about a move and get them involved in the process, if possible. Give them plenty of information and encourage any questions. Books are also ideal before, during, and after the transition. Big Ernie is moving, and boy does he feel sad. And angry. And anxious. 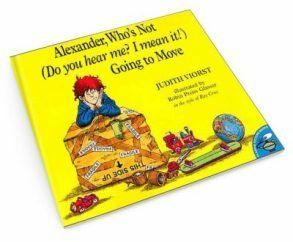 All his emotions related to the move are vividly detailed in this book for young children. By understanding how Ernie feels, they can relate and connect as they navigate their own feelings during this time of change. The back section includes notes and tips for parents. Those country bears are on the move again, but, this time, Mama, Papa, Sister, and Brother are moving away from the mountains and into a new tree house down a sunny dirt road. Read along with your child as this classic literary family say their heartfelt goodbyes to old friends and open their tree trunk door to new ones. Alexander is back, and this day is much worse than terrible, horrible, no good, and very bad. This day is the worst ever! His family is moving a thousand miles away from the only home he’s never known. But he’s not going. And he means it. “Roaming the neighborhood, he takes a look at his ‘special places’ and bids good-bye to all his ‘special people,’ announcing that ‘I’m saying good-bye-but it won’t be my last.’ By story’s end, after he lets some reassuring promises from his parents sink in, Alexander softens his tone, conceding that he, too, is packing up his things, but for the final time,” says Publisher’s Weekly. 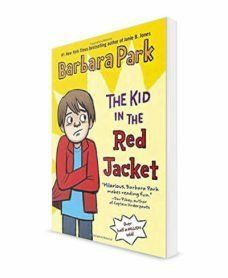 If your child loved “Diary of a Wimpy Kid,” than this middle-grade novel from bestselling author Barbara Park will hit the spot. “The Kid in the Red Jacket” chronicles Howard’s journey as his family moves away from his beloved home. How will he leave all his friends behind? And how will he ever make new ones? All the new kids act like he’s invisible, except his six-year-old neighbor, Molly Vera Thompson, who never stops talking. She’s the only one who wants to be his friend. When you have none, will you take anyone? Or will Howard stay alone? 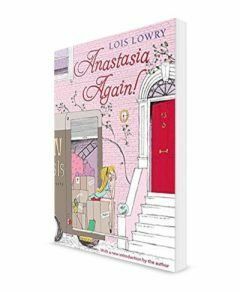 Twelve-year-old Anastasia is about to move from the city to the outskirts of town. The suburbs, as her family calls it. The thought of moving somewhere where all the houses look alike and people thrive on the latest and greatest has Anastasia questioning everything. How will she ever fit in? To make matters worse, a new and very annoying boy “like” likes her and she doesn’t like him at all. It’s not until she discovers a possible witch next door that things start looking up. Solving the mystery will take her mind off adjusting to a new home and a life with no friends. Catrina’s little sister, Maya, is sick, so her family moves to the coast of northern California. Although Catrina is not happy about leaving her friends and home, the cool, salty coastal air will help her sister’s cystic fibrosis. When the family finally settles in, a neighbor tells the girls a secret: Bahía de la Luna is haunted by ghosts. Maya is determined to find one, but Catrina wants nothing to do with the quest. Then Maya gets sicker. 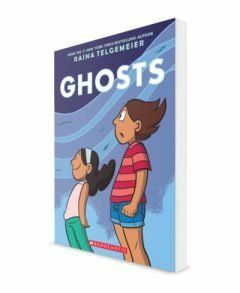 Even though Catrina now finds herself at a new school with no friends and is petrified of the possibility of meeting an evil spirit, she must put aside her fears and sorrow to help her sister fulfill her dream of meeting a ghost! “Telgemeier’s bold colors, superior visual storytelling, and unusual subject matter will keep readers emotionally engaged and unable to put down this compelling tale,” says Kirkus Reviews. Moving is stressful for children, especially teens. For some, they’ve lived their entire lives in one home and attended the same school. Their friends are like family and a move can be particularly upsetting. 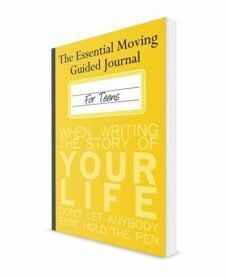 Help them adjust by having them share and document their feelings in this one-of-a-kind journal for teens. 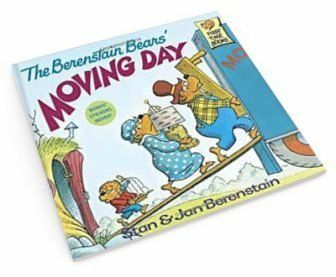 Which books about moving have helped your kids with the transition? Share in the comments! We’ve selected these items because we want these great products to be on your radar! Parent Co. is an Amazon Affiliate Partner and we will earn a small share of revenue if you decide to purchase a product using one of these links. By supporting us through this program, you are helping to keep the lights on and the banner ads off. Crystal Ponti is the owner of Forewordz.com, where book lovers can discover what to read next. She is also a mom (of five! ), writer and marathon multitasker from the beautiful state of Maine. Give her a whoopie pie and she'll smile, but lobster is off the table. Her work has appeared in The Independent (IBPA), Scary Mommy, YourTango, Club Mid, The Huffington Post, and she is part of the freelancing writing network 'The Mix' (Cosmo, Redbook, Elle, etc.). Fun fact: she once unknowingly worked out with Sean Penn. He was a quiet gentleman. She may have given him sass. No kid is born a picky eater, but there are plenty who will give you a run for your money come mealtime. 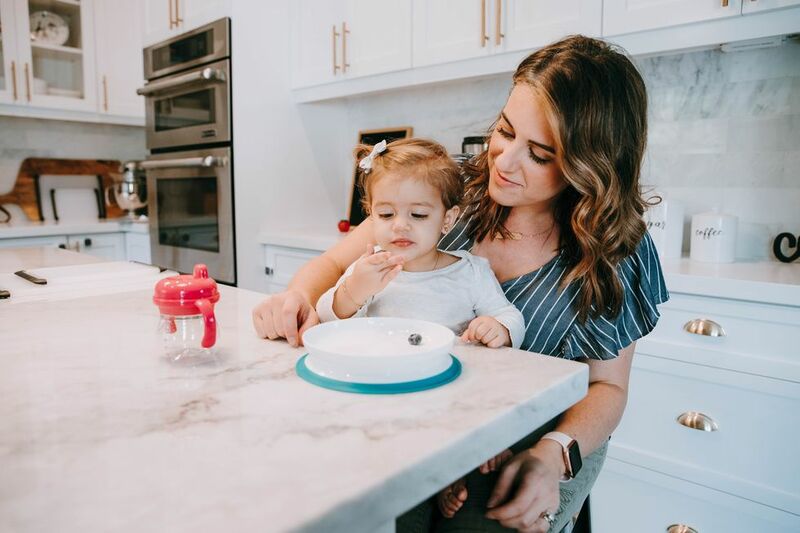 Whether it's a selective eating phase or simply a natural resistance to trying something new, getting your little one to try just.one.bite can be easier said than done. But sometimes your attitude about eating can make the most impact. A 2017 study found a direct correlation between "mealtime emotional climate" (AKA, how positive meals are for parents and children) and a child's consumption of healthy food―meaning the difference between your child trying their green beans or not could depend on how positive you make the experience. Here are 10 positive parenting techniques that can help overcome picky eating and lead to more peaceful mealtimes for all. 1. Make them feel special. Sometimes just knowing you have a special place at the table can help kids eat better. Create a special place setting with dishes just for them. Try this: We love OXO's Stick & Stay plates and bowls for creating less mess at mealtime. Not only will the kids love the fun colors and designs, but the plates also come with a suction cup base that prevents little hands from knocking plates to the floor (or in your lap). Trust us—we've tried it. 2. Take off the pressure. Think about it: If someone kept telling you to take one more bite during lunch, how likely would you be to go along without bristling? Try this: Instead, use the Satter Division of Responsibility of feeding, which lets parents be responsible for what, when, and where feeding happens, while the child is left responsible of how much and whether. Besides promoting a more positive environment at mealtime, this method also boosts your child's confidence and helps encourage better self-regulation of food as they get older. It could be that your child is bored with the usual rotation. Keep things interesting by regularly introducing new ingredients, or reworking a familiar ingredient in a new way. The familiar setting might make your child more likely to take a bite without a struggle. Try this: Sub in spaghetti squash with their favorite pasta sauce, or add in a new veggie to a beloved stir-fry. 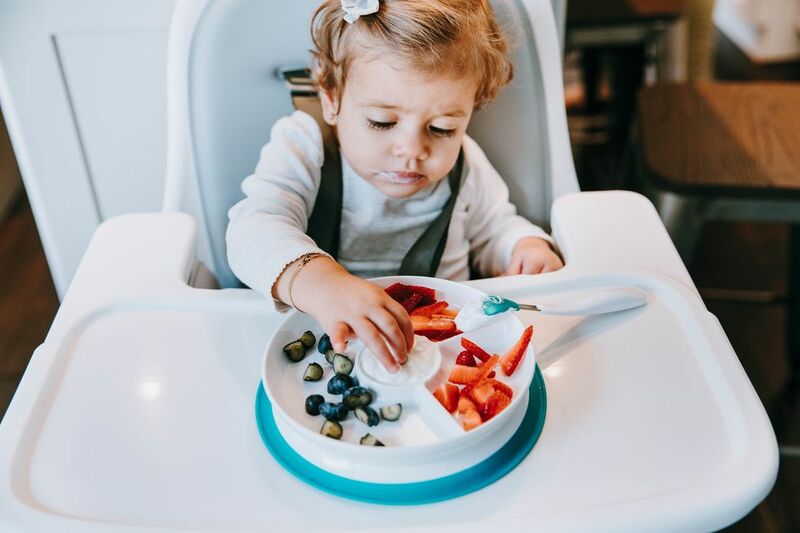 We love OXO's Stick & Stay Divided Plate for creating a "tasting menu" of new flavors for little ones to pick and choose or using the center spot for an appetizing dip. 4. Don't bargain or negotiate. Many kids resist trying new foods or eating at all because it gives them a sense of control over their lives. By resisting an ingredient―even one they have tried and liked in the past―they are essentially saying, "You're not the boss of me." Try this: Instead of resorting to bargaining tactics like, "Just take one bite!" or "You can have dessert if you try it!" lower the pressure with a neutral statement like, "This is what we're having for dinner tonight." There's no argument, so you avoid tripping their "Don't tell me what to do!" sensor. 5. Serve meals in courses. Even adults are more likely to eat something when they're really hungry. When their tummies are rumbling, kids will usually put up less of a fight even when they're uncertain about a new ingredient. Try this: Serve up vegetables or other new foods as an "appetizer" course. That way, you won't have to stress if they don't fill up because you can follow up with food you know they'll eat. 6. Make it a game. The fastest way to get a toddler on board with a new idea is to make it more fun. Turn your kitchen into an episode of Top Chef and let your little one play judge. Try this: Use each compartment of the Stick & Stay Divided Plate for a new ingredient. With each item, ask your child to tell you how the food tastes, smells, and feels, ranking each bite in order of preference. Over time, you just might be surprised to see veggies climb the leaderboard! 7. Get them involved in cooking. You've probably noticed that toddlers love anything that is theirs―having them help with preparing their own meals gives them a sense of ownership and makes them more likely to try new ingredients. Try this: Look for ways to get those little hands involved in the kitchen, even if it means meal prep takes a bit longer or gets a bit messier. (We also love letting them help set the table―and OXO's unbreakable plates are a great place to start!) You could even let your toddler pick the veggie course for the meal. And if your child asks to taste a raw fruit or vegetable you planned to cook, go with it! Every bite counts as training that will ultimately broaden their palate. 8. Cut out unstructured snacking. Not surprisingly, a hungry kid is more likely to try new foods. But if your toddler had a banana and a glass of milk (or a granola bar, or a handful of popcorn, or a glass of juice) an hour before dinner, odds are they aren't feeling truly hungry and will be more likely to resist what you serve at mealtime. Try this: Stick to a consistent eating schedule. If your child leaves the table without eating as much as you think they should, remind them once that they won't be able to eat again until X time―and make good on that promise even if they start begging for a snack before the scheduled meal. 9. Model good eating habits. Kids may not always do what you say, but they are much more likely to follow a good example. So if you want a child who eats vegetables regularly, you should do your best to fill your own plate with produce. Try this: Pick a new food the whole family will try in multiple ways each week. For example, if you're introducing butternut squash, serve it roasted, blended in soup, cut up in pasta, as a mash, etc.―and be sure a healthy serving ends up on your plate too. 10. Don't worry about "fixing" picky eating. In most cases, children go through relatively consistent eating phases. At age two (when parents tend to notice selectiveness ramping up), growth rates have slowed and most children don't need as much food as parents might think. Try this: Focus on keeping mealtime positive by providing children with a variety of foods in a no-pressure environment. And remember: This too shall pass. The less stress you put on eating now, the more likely they are to naturally broaden their palates as they get older. This article was sponsored by OXO Tot. Thank you for supporting the brands that support Motherly and mamas. Every time Amy Schumer posts something to Instagram we're expecting a birth announcement, but in her latest Instagram post, Schumer let the world know she's still pregnant, and unfortunately, still throwing up. Schumer made her "still pregnant" announcement in a funny Instagram caption, noting, "Amy is still pregnant and puking because money rarely goes to medical studies for women," suggesting that hyperemesis gravidarum, the extreme form of morning sickness that's seen her hospitalized multiple times during her pregnancy doesn't get as much attention as conditions that impact men. She's made a joke out of it, but she's not wrong. Gender bias in medical research is very real, and something that the medical community has just recently begun to address. And while more people suffer from erectile dysfunction than hyperemesis gravidarum, let's consider that five times as many studies are done on erectile dysfunction than premenstrual syndrome (PMS) when about 19% of men are impacted by erectile dysfunction but 90% of women experience symptoms related to PMS. Schumer's point is important not just for women suffering from hyperemesis gravidarum, but for women and vulnerable pregnant people with all sorts of under-studied and under-diagnosed conditions. The United States has the highest rate of maternal deaths in the developed world, and bias in medicine is part of the problem. “Brrrr… I guess winter's back!" I awkwardly joked with a mom at preschool pick up today. We'd had a few warm days this week, but March in Wisconsin means that's short-lived, and it was only a matter of time before our 19 degree mornings returned. She and I were the first ones to arrive, so I saw it as a golden friend-making opportunity for me. Before the other moms came and distracted her with chatter about grabbing coffee and going to yoga and getting their boys together to play. I thought this was my chance to make a bridge. As the new mom whose family just moved to town, I am not in that circle. My preschool son has no boys to play with, nor do I have a coffee dates lined up, or invites to yoga or to go for a run on warm days. And that circle—as all women know—can feel like it's impenetrable. Like once it's formed, no one else is allowed in. Being the new mom has me feeling like I'm back in 6th grade. But instead, I'm a grown woman in my 30s. I don't necessarily think it's intentional, either. Having just left a circle of mom friends back home whom I stood and chatted with and did this very thing with every day for years, I ask myself—did I isolate any new moms? Did I brush off someone who tried to make small talk with me, hoping to make a friend? And I honestly don't know. So I don't begrudge the mom circle that stands tightly knit, content with their foursome. But they hadn't arrived yet today, and I saw my chance. The weather—an easy topic, right? I wasn't coming at her with politics or organic vs. processed foods or vaccines. I chose something easy and non-controversial. Something that wouldn't get me judged. Or get my kids judged as having “that mom." But, unfortunately, she didn't bite. The one other mom standing with me at preschool pickup at my son's new school just smiled meekly at my generic weather comment, and then turned away. Okay. I guess that's that, I said to myself. So, I'm 38 years old. I've done the clique-y girl thing before. I know the game. I know the difference between “Yeah! I know! Brrrr! So you're new, right? Where are you from?" and a fake smile followed by the back of your head. Not interested. I get it. Up until recently, I didn't really care that I didn't have friends yet. We've been in our new town, new state, new school, and new house for a few months. But honestly, it's only been the past week or two that the feeling of loneliness has hit me a bit. I've been too busy being Mommy. All of my energy—every waking moment—went to helping my kids adjust. Helping them learn their new school routines. Ensuring they were happy and making new friends. Enrolling them in activities. Learning the bus schedule and memorizing the lunch menu. Figuring out which folder is the reading folder and which is the math folder. Where are the Boy Scouts meetings? Where should my daughter take gymnastics? What baseball team is best for my boys? We needed a pediatrician. And dentist. And eye doctor. And allergist. On top of focusing on my kids, the last few months were spent researching electricians and plumbers and painters. When does the garbage get picked up and how do we dispose of our Christmas tree? Where can we get good Chinese takeout and get my car washed? Which grocery store has the best deals and where is Costco? But now, all of a sudden, I feel like my children are all doing okay. The house is organized and we know how things work around here. And now I've remembered that there is one more person who needs to learn her new world—me. I haven't had a hair cut in months. I don't have a doctor yet. Or a dentist. But most of all, I desperately need some girlfriends. Maybe not the one who brushed me off at preschool pickup. And that's okay. I've met some friendly moms who've mentioned getting together in passing. I am now navigating that awkward “when is too soon to text and/or friend you on social media so you know I want to be friends but I don't seem stalker-ish" territory. I guess it never gets easier, this making new friends gig. The one good part, however, of this experience—is that it's given me a glimpse into my children's world. I have gotten a taste of what their first few days were like back in December when we first arrived. I was so busy unpacking and learning their school schedules and setting up their bedrooms that I didn't take the time to sit in that experience with them. To see it from their perspective. Now I wonder, was my daughter brushed off by a girl she tried to befriend? Was my son kept out of the circle? I now know, what that must have felt like. And I'm so proud of them for standing tall, walking into their new world, and facing that challenge head on. We are all going to be okay, though. This is our family adventure—the good and the bad—and we will come out stronger on the other side. We will be better at facing new challenges. We will be experienced at making new friends. And next time there is a new family in town, and the mom asks me how I feel about the weather, I will be ready to give her the response I was hoping for—not the one I got. I remember being in a conversation about working moms with a few people I know—comprised of both men and women—shortly after I had had my first child. I remember it so clearly because one of the men said, "If she's working so much, what's the point of even having children?" I was so taken aback. To me his comment screamed: Why would a busy working woman even bother procreating if she's not going to dedicate herself wholly and completely to motherhood in every way, shape and form? Like, if you're going to be a mother, then just BE a mother. Be one with motherhood. Be all in. Forget about the other things. Right? You know what I've realized in my five years of motherhood? When you throw yourself mind, body and soul into every. single. thing. motherhood, you're likely going to lose sight of the uniqueness that makes you you. Your "pre-mom" self is in the past along with sleeping in on Saturdays and spontaneous date nights. And the woman you thought you were now—this mom version of yourself—is buried so deep under diapers and goldfish and stuffed animals and to-dos and errands and responsibilities that she is struggling to stay afloat. Struggling to really see herself. Being fully immersed in the deep, sometimes treacherous waters of raising tiny humans is wondrous, yes. But it can also be overwhelming and all-consuming. It can be exhausting and challenging. Then, one day, your head will pop up above the surface and you'll breathe fresh air and you'll say, "Wow, it's really beautiful up here, too. "And you'll remember: Something will remind you that you're a person, not just someone's mother. It could be anything—maybe it'll be the way your partner looks at you in that dress or maybe it'll be what the yoga teacher said that struck a chord with you. Maybe it'll be the writing class you sign up for or a new job or a new community or a new lease on life. Whatever it is for you—you'll notice it. And it'll wake you up in a way that nothing else has since becoming a mother. I find myself on a mission now. My mission is to discover who I am exactly. I'm not my pre-mom self anymore and I'm not just this exhausted, harried, overwhelmed mom-of-three. I don't have to only be that. I can be a mother and… other things. That being said, because I am a mother and… doesn't mean you have to label me that way. I have a job, but you don't have to call me a "working mom." I'm simply a human who works who also happens to be a mother. I like to workout, but saying I'm a #fitmom seems unnecessary to me. I am a human striving to be healthier. I have dreams and goals for myself that both relate to motherhood and have nothing to do with motherhood at all, but you don't have to label me a "mom boss." I'm just a human who wants to achieve certain things in life. I am a Beyoncé devotee, but we can all agree it would be silly to label me a "mom-Beyoncé fan," right? Bottom line: I am more than the caregiver of my tiny humans. My worth is greater than the number of pickups and drop-offs I do in a week. I am deeper than the mountain of dirty laundry in the hamper. I am better than my meltdowns when I lose my patience and I'm worthy of cultivating hobbies, interests and passions outside of my role of "mom." We all are. Attaching the word "mom" to everything we do contradicts all of this. What I think I am finally starting to understand is that becoming a mother is a complete transformation that happens over and over throughout the course of our motherhood journeys. We'll figure out the mom we need to be at each stage of our children's lives and we'll figure out who we are exactly, eventually. Spoiler alert: It's going to take time. And it's going to keep changing. And we'll be growing and learning and unearthing the truest versions of ourselves over the course of our lives—right alongside our babies. The role of mother is of utmost importance to me. I am so proud to be raising my three children. I do get an immeasurable amount of fulfillment and joy from this hat I wear. But the other hats I wear? They're so much a part of me, too, and a lot of them don't have much to do with motherhood at all. It's time our society starts valuing the other roles mothers have independent from motherhood because that's where validation happens, and that's how society proves motherhood is worthy. That's how we feel seen. That's how we get a seat at the table. So, what was the point of having kids for that woman who works a lot? To create another human being who she could help mold into an upstanding citizen of our future. To expand her family and lineage. To open her heart to the love that is caring for another person. To give her life meaning in a way nothing else had yet. Because, I suspect, she felt called to. And what's the point of her working so much? To make money for her family. To feel validated outside of her home. To continue to learn and grow in her profession. To set goals, reach them and start all over again. To interact with other adults on a regular basis. To continue this part of her life that is so ingrained in her identity. To show her children that just like men, women can have successful careers, too. To give her life meaning in a way nothing else does. Because, I suspect, she feels called to. But the even bigger point that stayed with me from that conversation about working mothers is this: Women, just like men and non-binary individuals—just like any other human on this planet—can make their own decisions. They can decide to be a mother or not be a mother. They can decide to be the primary caregiver for their children or they could decide to work a full-time job outside their home. They can decide to sign up for yoga teacher training, join a gym, learn how to paint, go back to school or whatever. From looking around me at all the amazing moms in my life, I believe this to be true: Mothers can, and will, decide what is best for them and their families by themselves or with their partner. What we won't do is wait around for a man, or anyone else for that matter, to tell us how we should be living our lives or to pass judgment on our choices. We are mothers, yes. But we are also so much more. And it's time for society to start seeing us that way. The bestseller Born To Run changed the way we think about traditional running shoes and how they interfere with the body's natural wisdom. Nearly ten years later, despite the popularity of barefoot running and minimalist running shoes, we still haven't heard much about the negative effects of shoes on children, despite the fact that research supported barefoot-style shoes for children as early as 1991. According to that landmark study, optimum foot development occurs in the absence of shoes. Additionally, stiff and compressive shoes may cause deformities, weakness and restricted mobility. That study went so far as to say that the term “corrective shoe" is a misnomer and that such a shoe is “harmful to the child, expensive for the family and a discredit to the medical profession." Subsequent research reinforced those findings. A 1992 Bone and Joint Journal study found shoe-wearing in early childhood to be detrimental to the development of a normal arch. Specifically, the authors found a positive relationship between wearing shoes in early childhood and the subsequent development of flat-footedness. A 2008 Gait and Posture study found that slimmer and more flexible shoes interfered with children's natural foot motion far less than conventional shoes did. Based on detailed analyses of children's movement patterns in barefoot-style shoes versus traditional shoes, the authors recommended all children wear barefoot-style shoes. In 2008, Foot and Ankle Surgery published a review recommending small children wear a sports shoe, which is as flexible as their own foot. It stated that the impact forces affecting a child's foot during sports are small enough that extra cushioning is unnecessary. The authors argue that although the hard indoor surfaces on which children play increase the need for cushioning, as the child's foot grows there is an increasing need for sufficient mechanical stimuli to facilitate healthy development of the bones and muscles. Because cushioned shoes interfere with the foot's natural movement, they can cause poor positioning in the flex zone, thereby causing harmful stress on the foot. A 2011, Journal of Foot and Ankle Research found shoes alter children's gait patterns. One notable finding was that wearing shoes decreased the movement of the intrinsic muscles of the foot, possibly contributing to weakness in those muscles. In fact, eight of the nine range of motion variables measuring foot motion were decreased in subjects who wore shoes versus the control group. There's no doubt about it, the foot is complex and amazing. Each foot has 200,000 nerve endings in the sole alone. Additionally, the foot and ankle are home to 26 bones, 33 joints, and over 100 muscles, tendons and ligaments. It's not hard to imagine that altering the movement of this complex web of structures would create a ripple of changes. Jessi Stensland, founder of FeetFreex and a self-proclaimed “natural mover." She puts it in no uncertain terms, “From the moment kids are putting on shoes, they're walking wrong." Stensland explains that the foot is designed to process an immense amount of sensory input and that it's designed to move in varied, complex ways. When you put a child as young as 18 months in a supportive shoe, you're depriving them of the chance to use their feet properly, potentially for life. “We are meant to have a raging river of information coming to [our brains and spinal cords] through our feet to help us move our bodies through space and we have slowed it to a trickle… the moment we put [on] shoes." In contrast, when we walk barefoot on a variety of surfaces, our feet adapt by developing musculature and fatty padding to protect our feet and to fully support healthy movement in all planes. It is a classic case of “use it or lose it," Stensland says. There is no shortage of research to indicate the many specific ways in which shoes interfere with the foot's ability to do its job, potentially triggering a variety of negative long-term effects. For example, a shoe with even a slight heel lift (e.g., almost any athletic shoe) shortens the Achilles tendon and the plantar fascia, limiting ankle range of motion. This affects the angle of pelvic tilt, which can then lead to low back pain and posture issues. That's just the tip of the iceberg. A 2002 paper published in Podiatry Management details the many ways in which typical shoes interfere with children's gait and development. Lace-up shoes commonly worn by children are constrictive. When kids lace their shoes tightly, the excessive pressure limits the dorsalis pedis artery's ability to allow normal blood flow through the foot. Sneakers have a high traction plastic or rubber outsole that causes the foot to forcefully “brake" with every step. Note that an active child takes 20,000 steps per day. This unnatural braking forces the foot to slide forward, jamming the toes against the shoe's front edge with every step. This is the equivalent of wearing shoes one has long outgrown. Even if you're not ready to home school or move to a tropical, casual, shoe-optional locale, there are plenty of opportunities to foster your kids' healthy foot development. Stensland likens healthy movement to a healthy diet – a variety of all kinds of foods, including fruits, vegetables, healthy fats, protein, and some Cheetos or Pop Tarts every now and then. Just as with our diets, the effects of any junk food are mitigated by nutrient dense foods. Similarly, while there will inevitably be times when your kid needs to wear shoes, including structured shoes with a heel (e.g. tap shoes or soccer cleats), you can offset the ill-effects of such shoes by adding in a healthy dose of “nutritious movement," a term coined by movement educator/author Katy Bowman. She recommends offering kids a chance to walk on natural surfaces like sand, gravel, rocks, or wood for at least 20 minutes a day. Even if you can't do this every single day, you can at least have them play barefoot inside. Stensland has compiled a list of approved shoes for nutritious movement here, including guidelines for DIY'ers wishing to make their own. For better or for worse, our kids learn more from what we do than from what we say. We can encourage them to kick their shoes off when we do the same. While it might not make sense to walk into your office barefoot, you can set an example by taking your shoes off when you enter the house, while relaxing in your backyard, at the park, or on neighborhood walks in nice weather. On the other hand, the prospect of depriving my kids of healthy movement, potentially for life, is far scarier than anything a barefoot adventure could throw at me, including a tearful, forcible departure from the playground. We all want to give our children a solid foundation. It turns out, we don't necessarily need to do anything fancy or complicated to do it—at least in the literal sense. While you might need a lot of therapy and soul searching to give your kids the best emotional foundation, creating a solid physical foundation is as simple as letting them be barefoot.